Our team here at Sunnystate Termites are officially licensed to carry out full termite inspections of any home or business for the presence of termites. Our termite inspections are non-invasive; ensuring that we do not damage any part of your buildings during the inspection process. 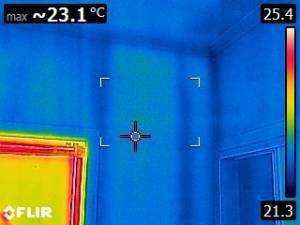 We use moisture meters and thermal imaging cameras during the inspection. These non-invasive tools are great aids in helping us to detect termite activity within the building or surrounds. Our termite technician also carries out a thorough inspection of the garden area within 50 meters of your property. By doing this we can detect termites before they enter your home or business premises. The inspection takes one to two hours, depending on the size of the property. We start by having a look around the garden and the outside of the property. This is to determine whether there are any items around that may be conducive to termite attack. We look for old pieces of wood, tree stumps, wooden fence posts and rubbish left lying around: particularly leaning up again walls; as this is attractive to termites. Once we have completed the external termite inspection, we move to the inside of your property. We walk around with a tapping stick, which looks like a golf ball on the end of a gold coloured stick. This enables us to identify different sounds within the wood of skirtings and architraves. A denser sound could indicate that the wood is still sound and has no termite activity, but a hollower sound could indicate termite activity. 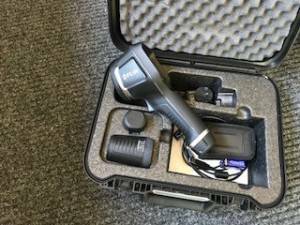 If a different sound is heard by our termite technician whilst using the tapping stick, or donga as it’s known in the pest control industry, he would then look at using one of the other inspection tools, such as the moisture meter or the thermal imaging camera. All rooms that are accessible are fully inspected, including the roof void and any sub-floors. Termites can easily be missed if the inspection is rushed, or an inexperienced inspector is carrying out the inspection. So, it is important to use a qualified pest control company, that also specialises in termite detection and eradication. For any advice or a free quote, you can email or call us direct. We will be happy to help.